Web development should be done in a proper and efficient way, such that your website reaches the top. Web development or design has some technical aspects, which should be learned through online web design training if it is meant for searching optimization purposes, and for advertisements. If you want to become a successful website designer, you should go through the process of web design training. For you to learn website design, you should know a few requirements that are necessary for web development. The first and the most important aspect, which is related to web development, is the good implementation of computer language. As if you have a significant command over computer languages like C. C++, C#, JAVA then you will be able to create some of the most remarkable websites for your clients. You do not need to know any stereotype technical issues for going through the process of online web design training, there are a lots of technical aspects of designing like using the right forms, right font sizes, plug-ins, sliders and images. All these small little things play a huge role in building the website. And in this case, learning the designing work from a professional web design school would be a great option for your aid. Once you find that you will have to learn the computer language in order to do the designing part well enough to make a mark, and then it is the best time to join web design training Kolkata. There are multiple courses available, which can help you to go through the process of online web design training. In all the courses, you will be taught the fundamental technical aspects of web designing, and also how to present a proper color texture and combination, which can be used for attracting the users. Apart from it, you will also be taught how to interact with the clients, such that you can understand the requirements and deliver the best website, to fulfill the requirements. Once the course is complete, you will have to start working practically, such that you can implement what you have learned. If you do not work for a particular company or a particular client, you will have to do the task alone, by being a freelancer, such that you can understand more about web designing. From time to time, you will become an expert in web developing, but that is a gradual process. 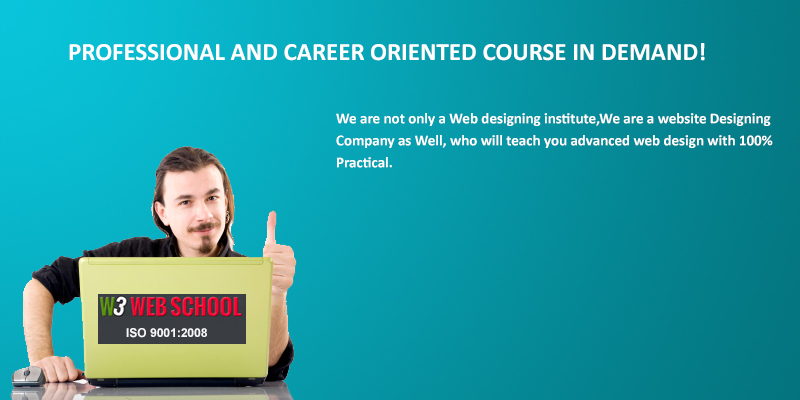 But if you only go through the process of web design training kolkata, it is not going to be enough for you. You will also have to learn the new algorithms, and you will have to cope with the latest advancements in the field of web designing and SEO industry. Once you keep in par with that, you will become a successful web developer. If you are willing to design your blog or website, WordPress can be considered as the best option for you. WordPress is very powerful, and you can do a lot if you learn it correctly. Even a lot of websites nowadays are hosted with the aid of WordPress. Well then, if you are keen on it, then you should go through the process of WordPress training somewhere. A lot of people are willing to open their blog on their website. 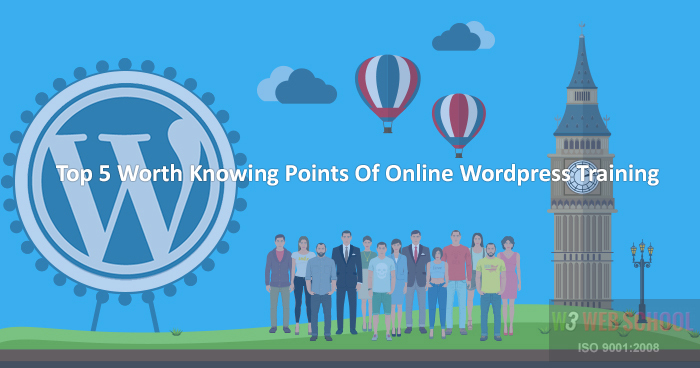 If you are one of them, WordPress can be considered to be one of the best options. It comes with a lot of choices to customize your website in the best possible way, and you can also make your different website or blog with the aid of WordPress. You can get some information about WordPress training from various places. If you are willing to learn WordPress and go through the process of WordPress training, there are some choices available. You can join the computer center, where it be taught about various aspects and essential elements of WordPress. You will have to learn them, and you will have to try to utilize them while designing your web pages. There can be numerous courses, and if you complete the courses, you can learn WordPress to a large extent. If you go through a WordPress training of the minimum period, you will be taught the minimum aspects and the basic elements of WordPress. But with the increase in duration of the training program, you will learn a lot more about the tool WordPress. If you want to everything from the training center, you can do that, but there are other options available as well. If you have a natural connection to the Internet, it is not necessary that you go through the rigorous process of WordPress training, which has a very high duration. It is better that you learn the basic elements of WordPress from a training center, and try to learn it on your own by downloading contents from the Internet, and trying to design a web page by your own. If you learn it yourself and try to create a web page, it is more efficient for you to learn, and it is by far the best possible way to learn WordPress. You can also purchase some e-books, or download free e-books from the Internet, as the e-books are quite efficient to help you in the process of WordPress training. If you know nothing about WordPress, it is advisable that you go through the minimum process of WordPress training from any training center available close to you. After you learn the basic elements, you can follow other ways to learn it, and you can also consult any of your other friends, who know about WordPress to teach you other aspects related to WordPress. It will hardly take one or two months after the training process to ultimately learn WordPress, and you have to keep on developing WordPress web pages such that you do not forget it.